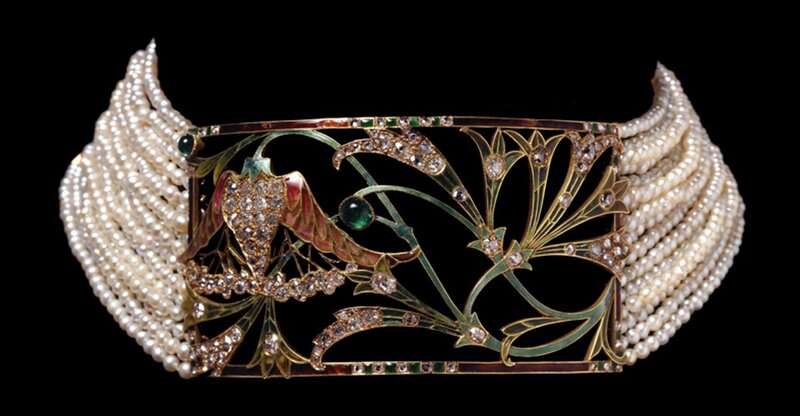 I think jewels of this period are most beautiful, most artistic and most original. 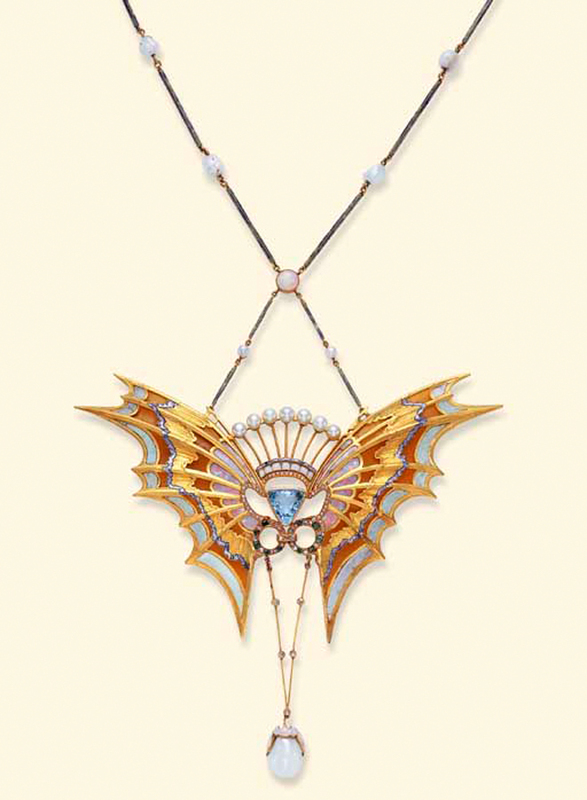 Georges Fouquet, René Lalique, Lucien Gaillard, Falize, Vever and others have shown the highest degree of what jewellery can be. 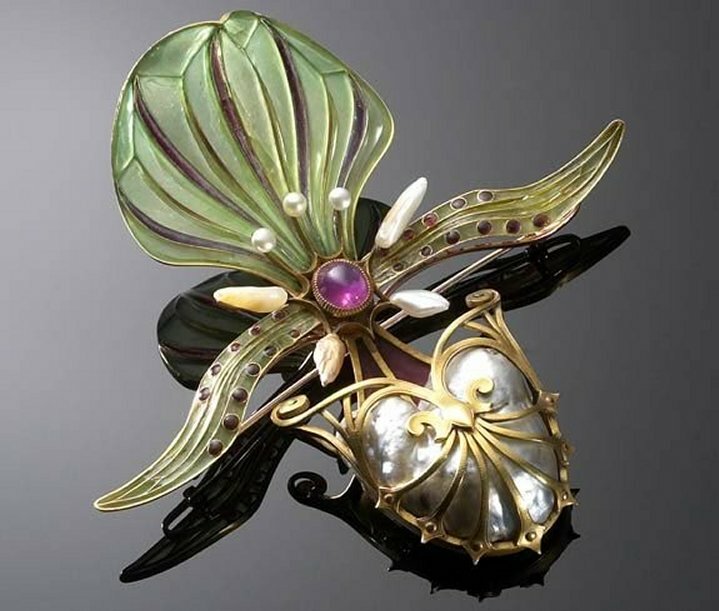 Actress Genevieve Lantelme (who can be considered as jewel collector) has preferred more traditional jewels, pearls, diamonds and platinum. 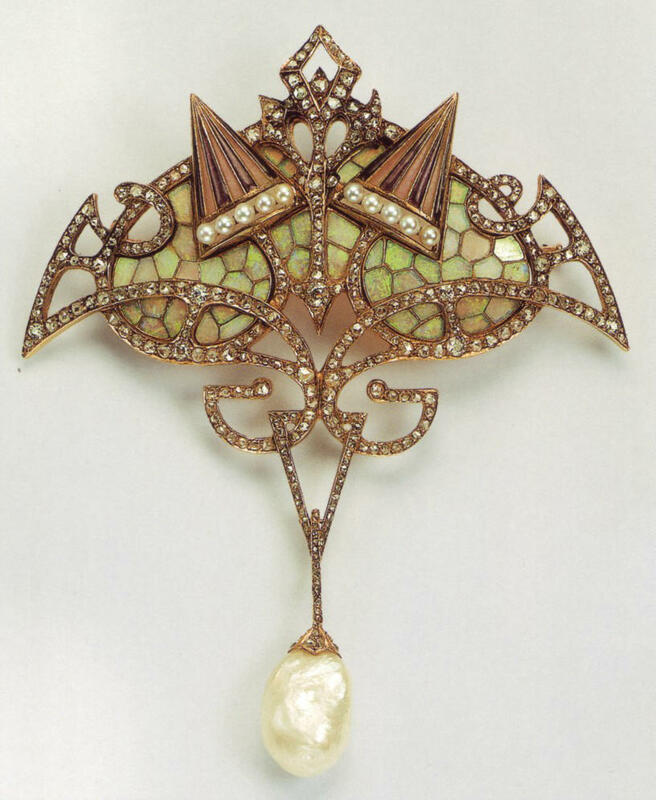 However some early pictures show her with a Fouquet-like pendant. 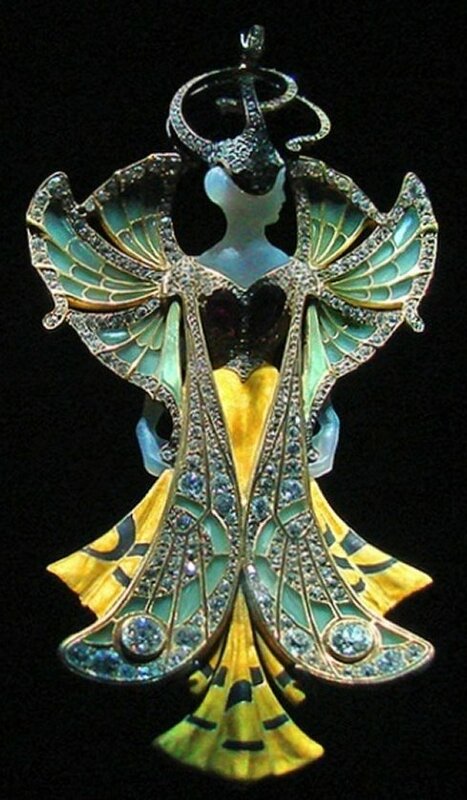 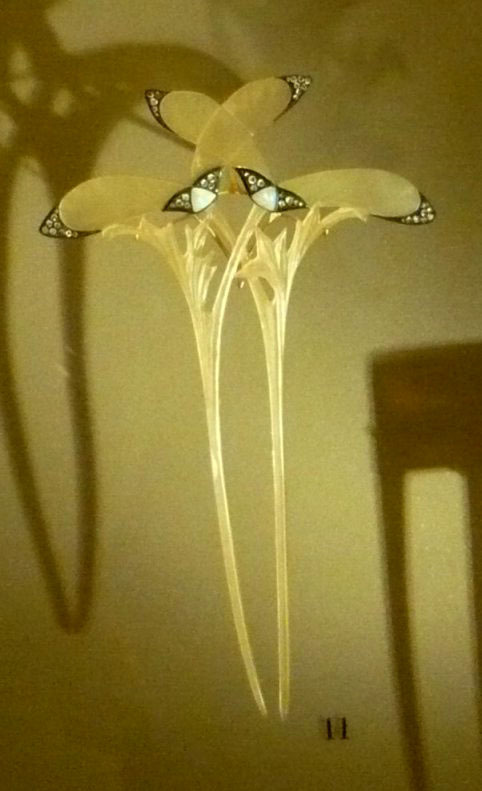 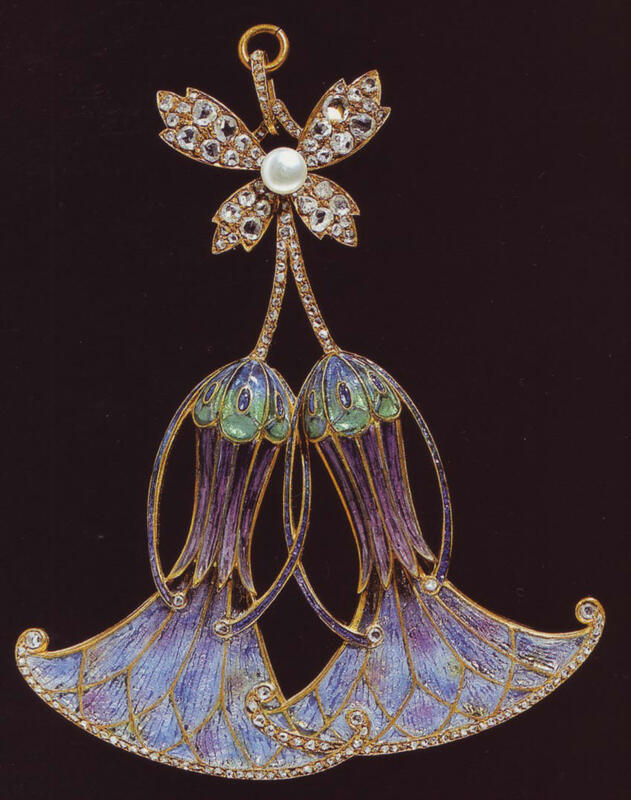 (I write Fouquet just because I prefer his jewels to the others, even to these created by Lalique). 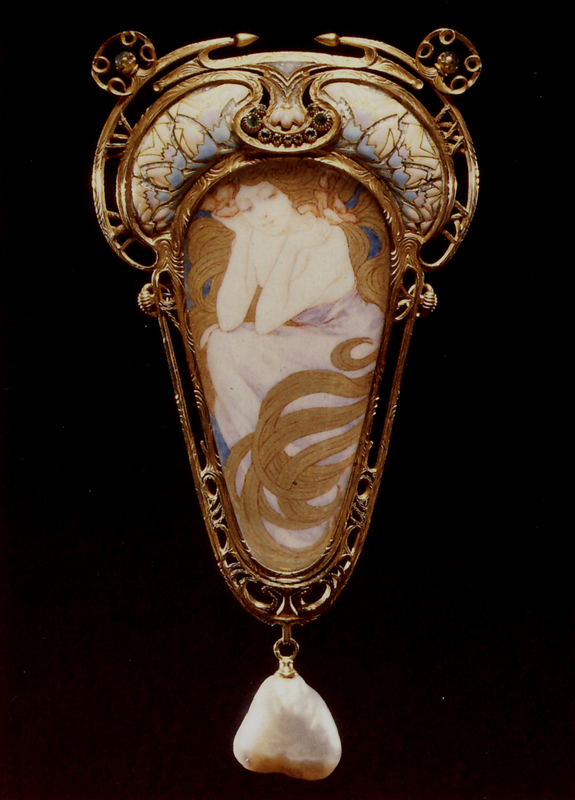 Lantelme with an Art Nouveau pendant. 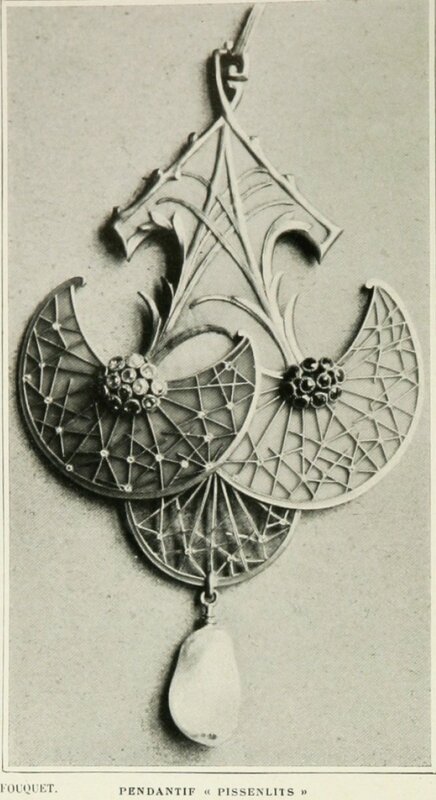 Photo made by Reutlinger circa 1902 (detail). 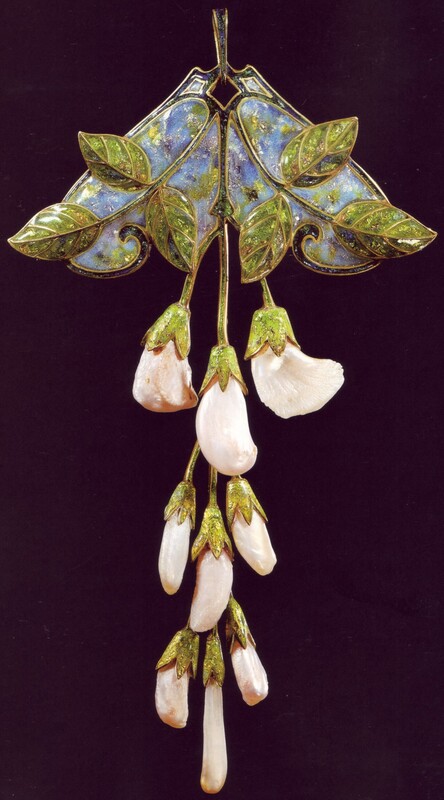 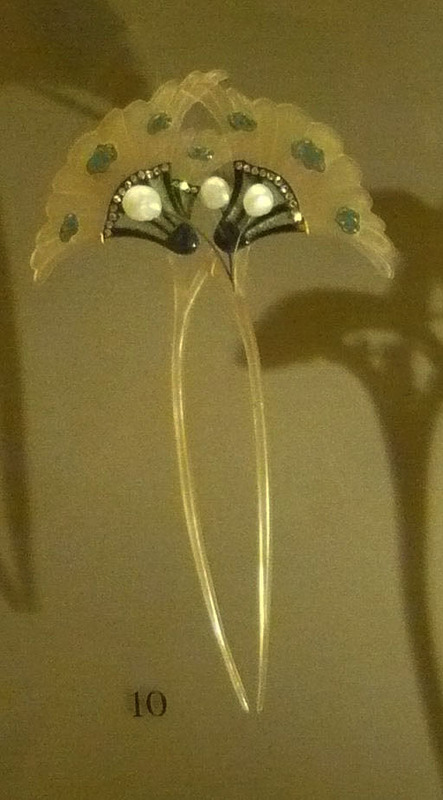 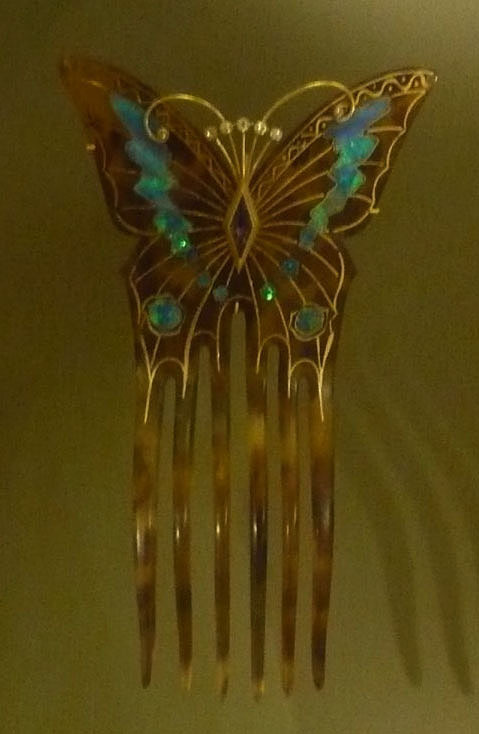 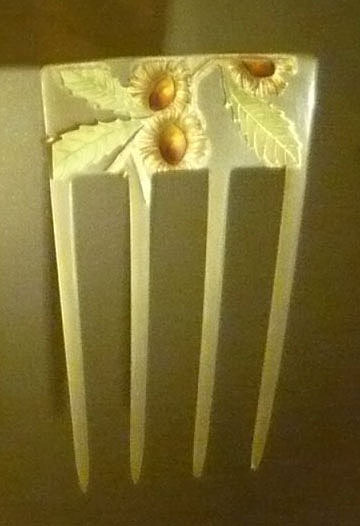 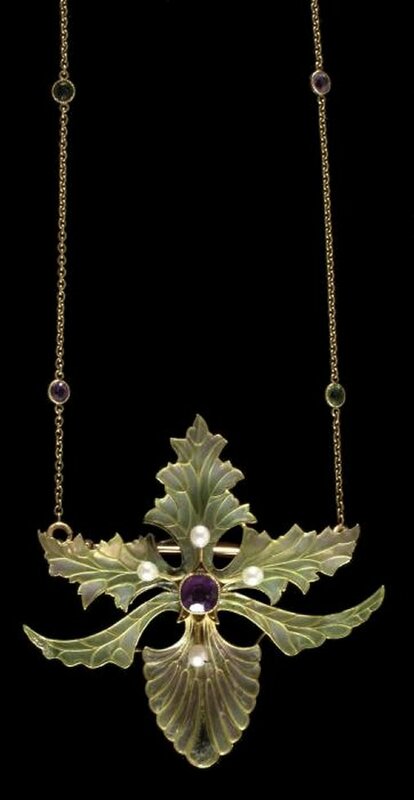 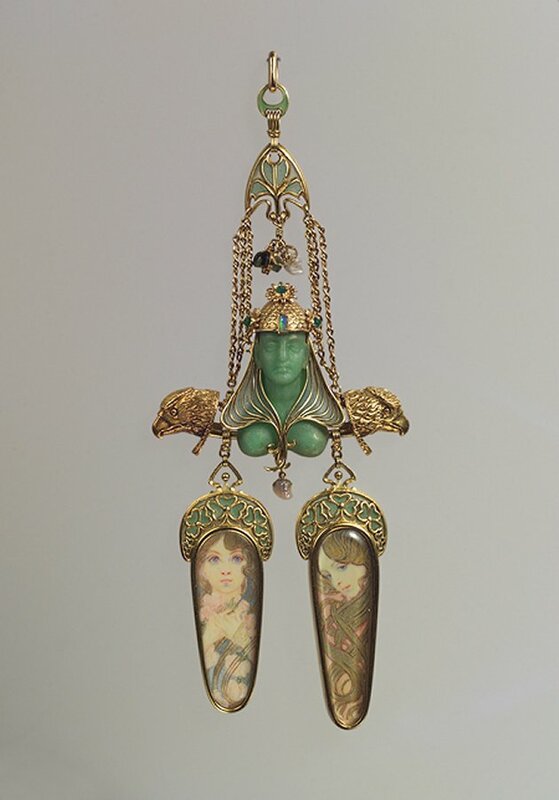 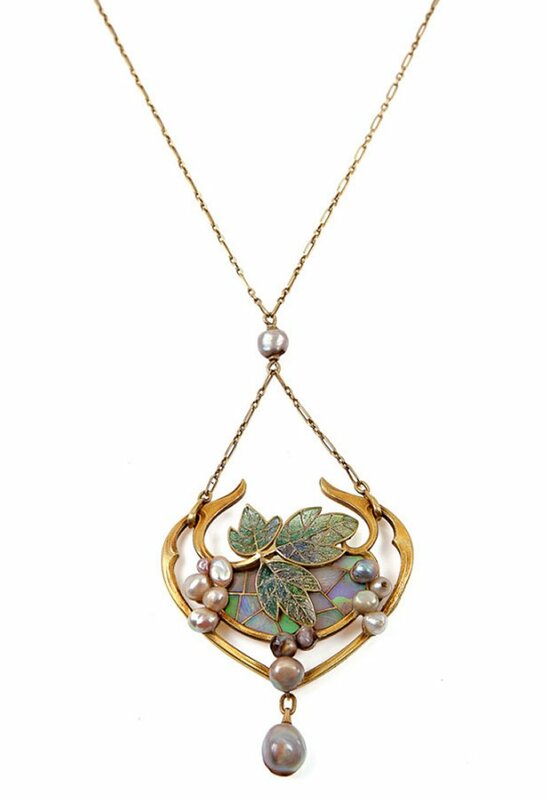 I don’t know if it’s Fouquet, or Vever, or Lalique, but it’s a very typical Art Nouveau pendant. 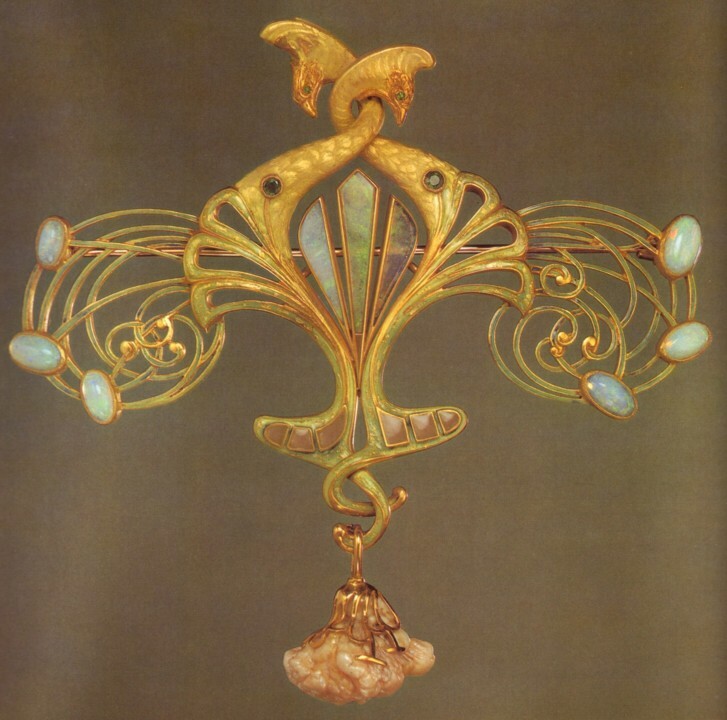 Pendants by Georges Fouquet created in various years. 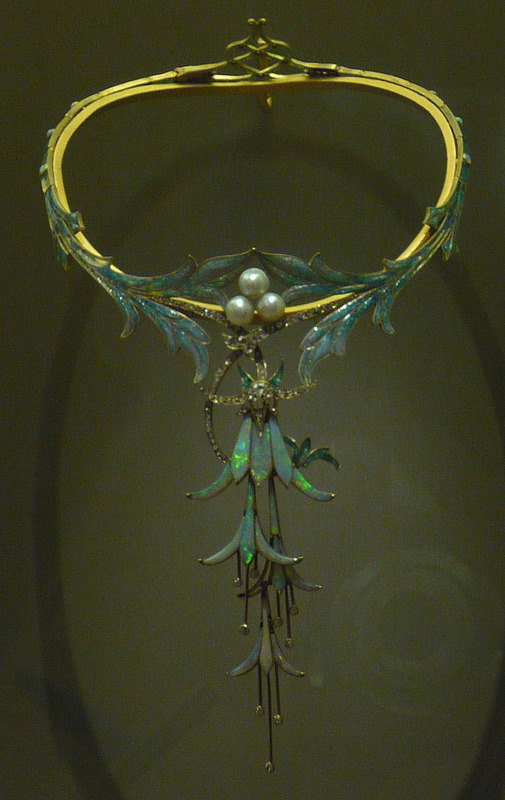 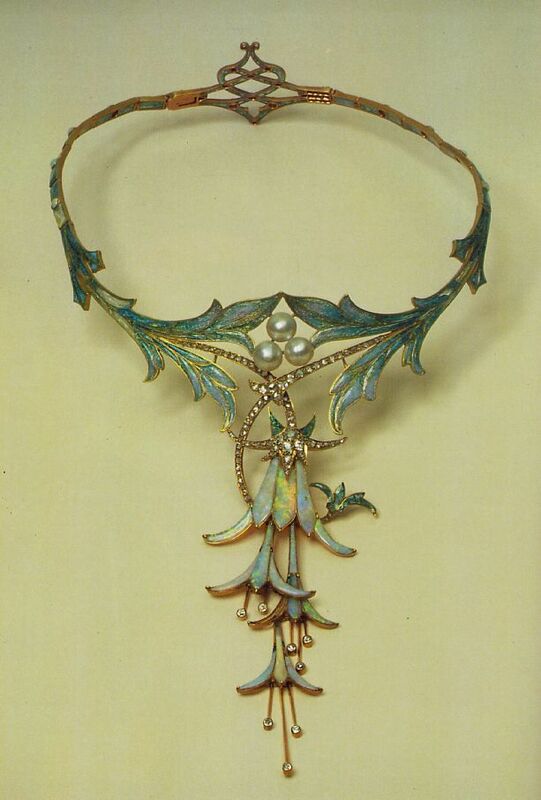 A choker/necklace by Georges Fouquet. 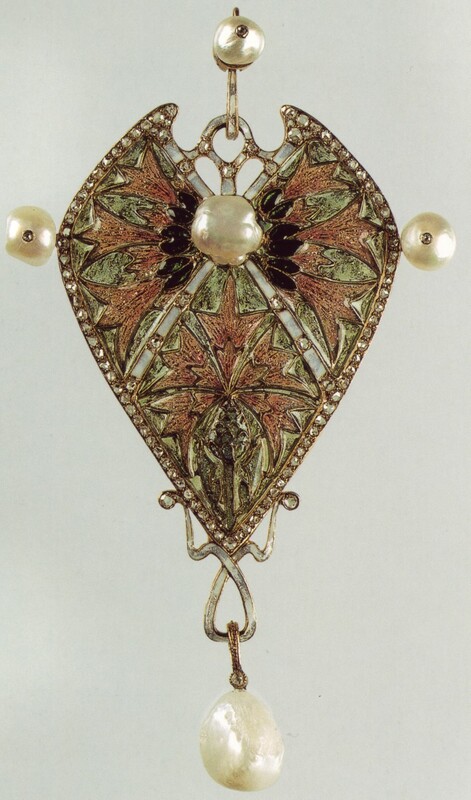 A bodice ornament by Georges Fouquet. 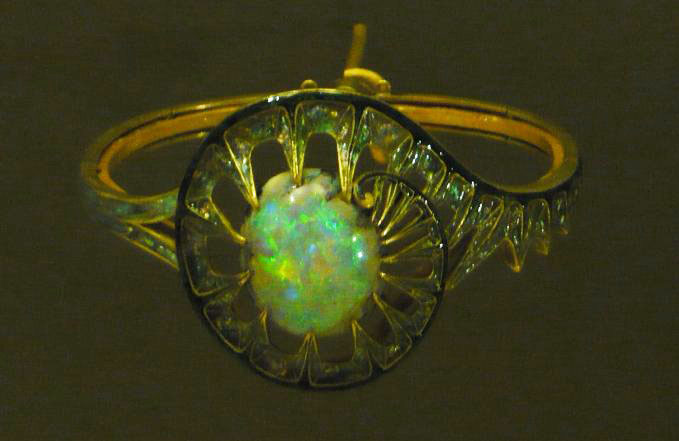 A bracelet by Georges Fouquet. 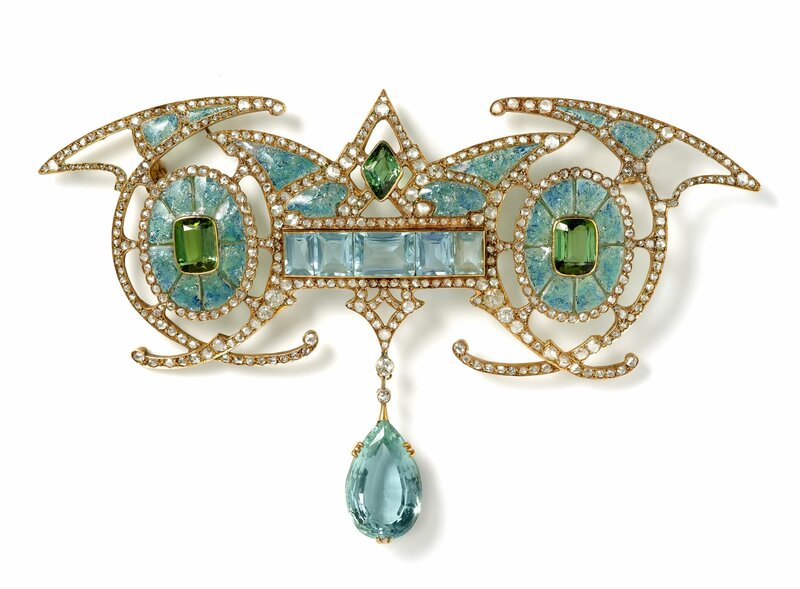 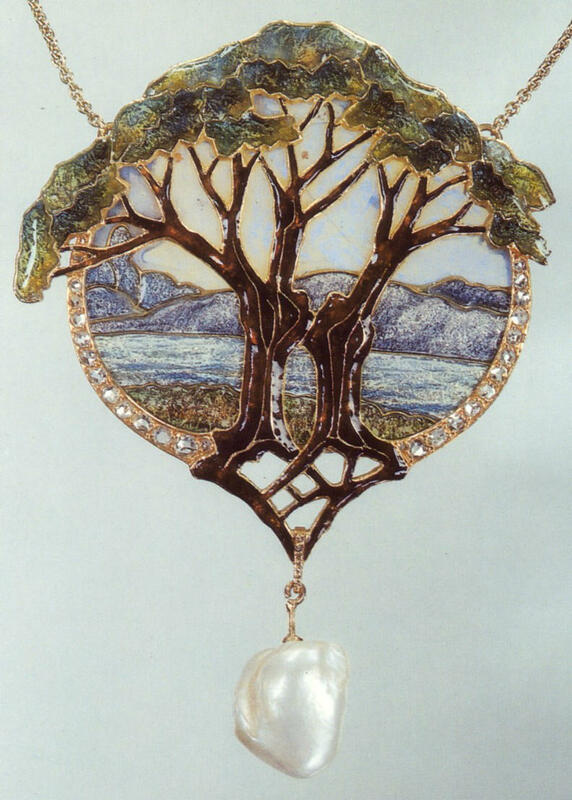 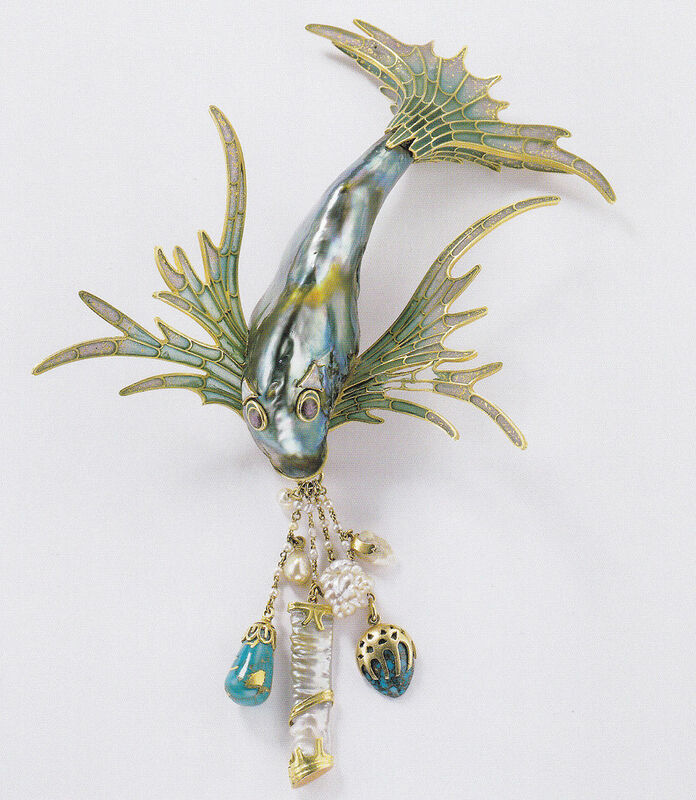 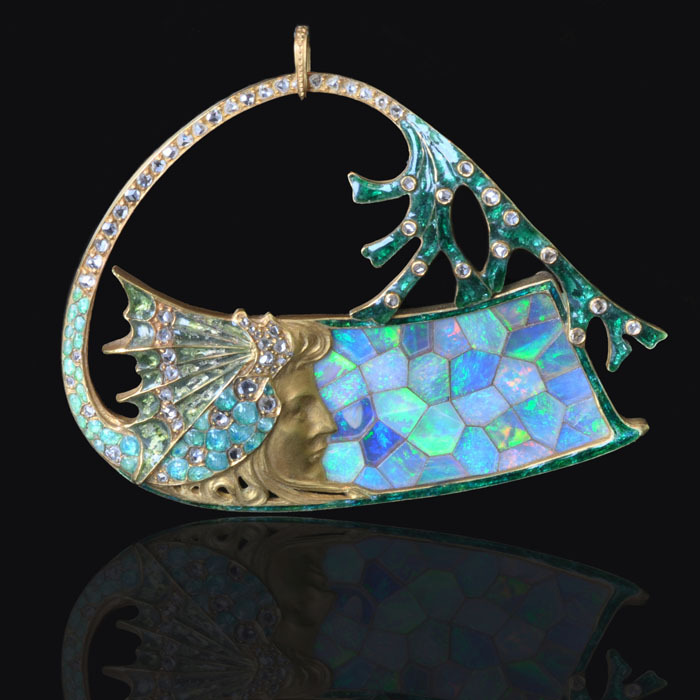 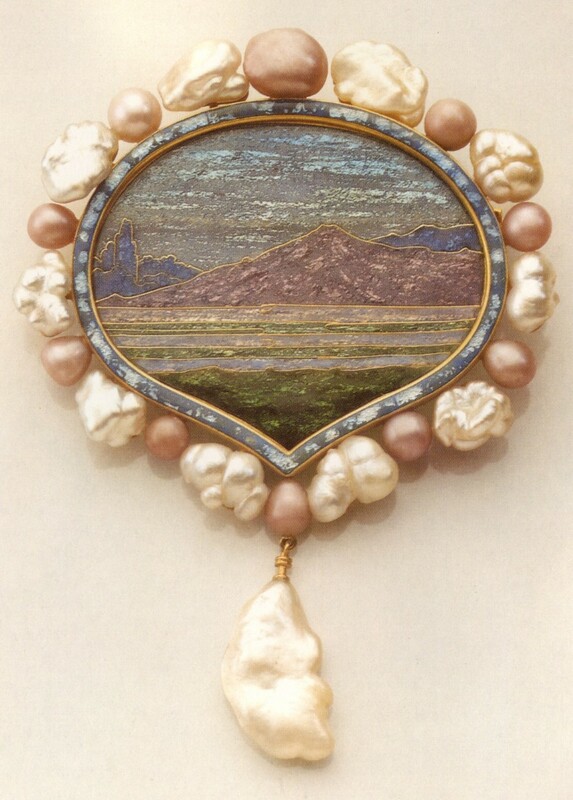 A Waterfall pendant by Georges Fouquet. 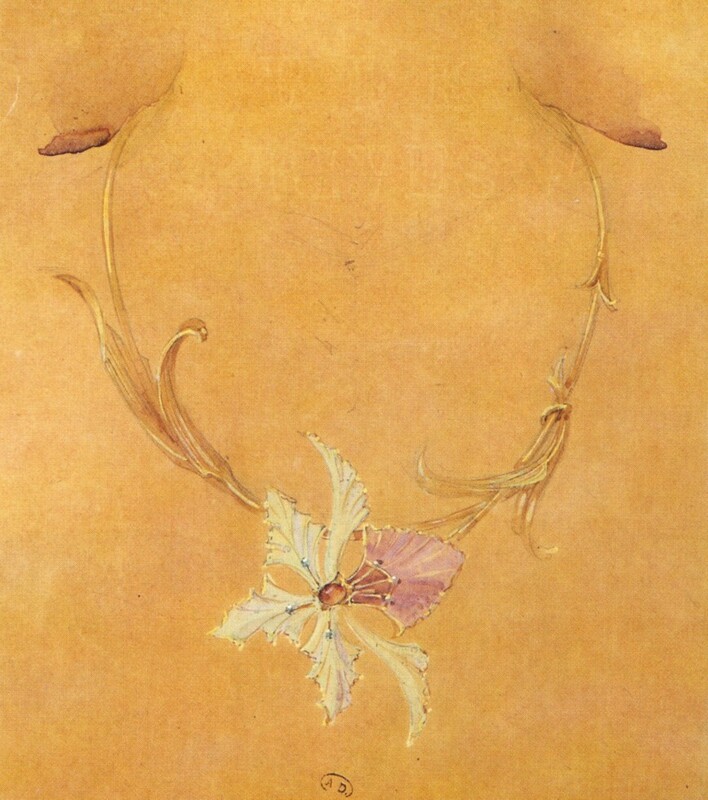 Design by Alphonse Mucha. 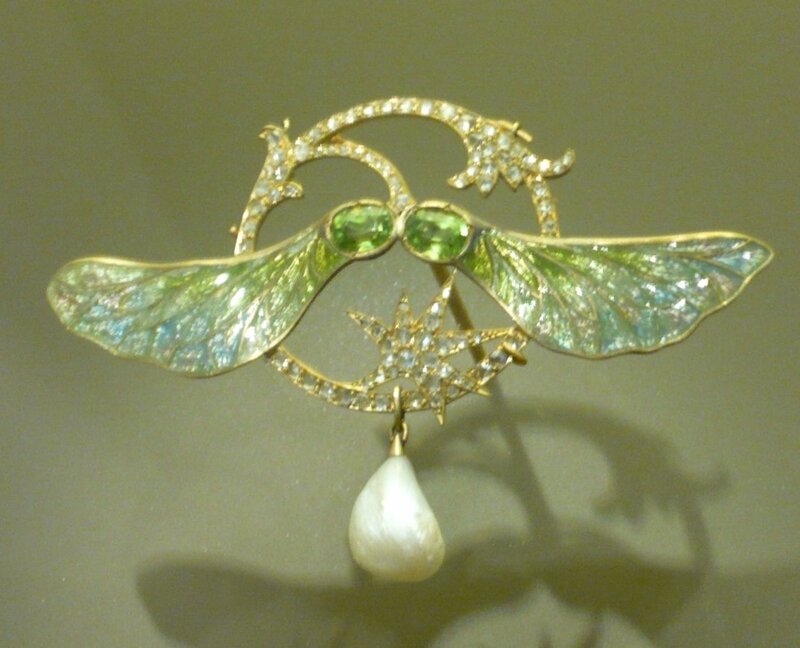 A diadem by Georges Fouquet. 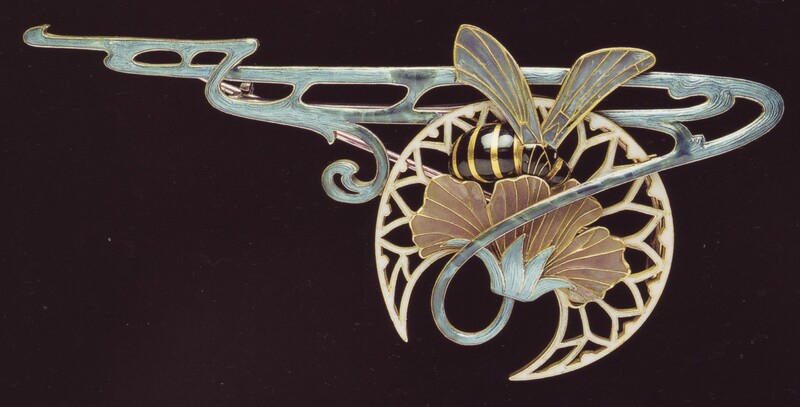 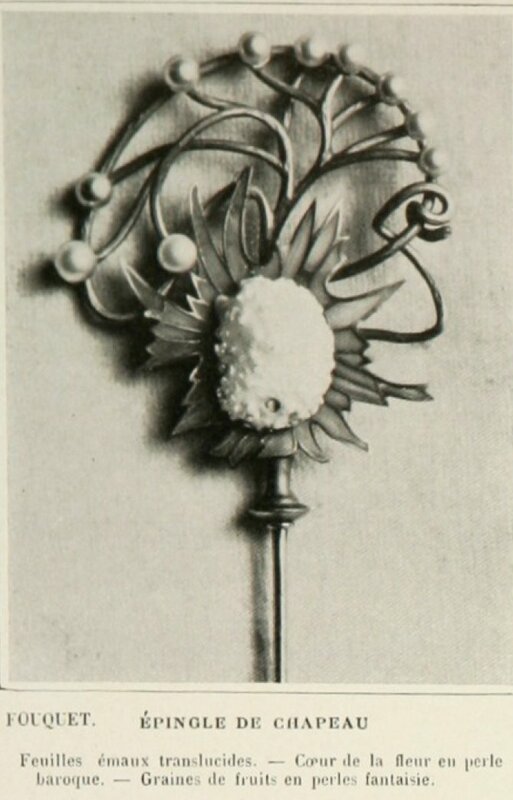 A hat pin by Georges Fouquet. 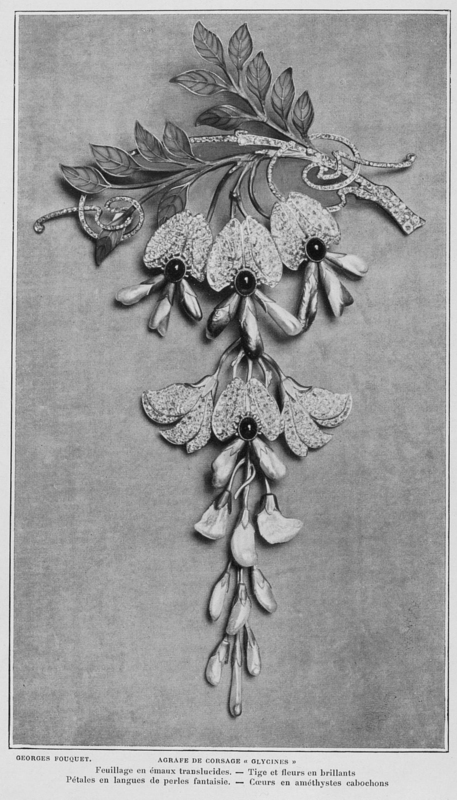 Photo from Les Modes, March 1903. 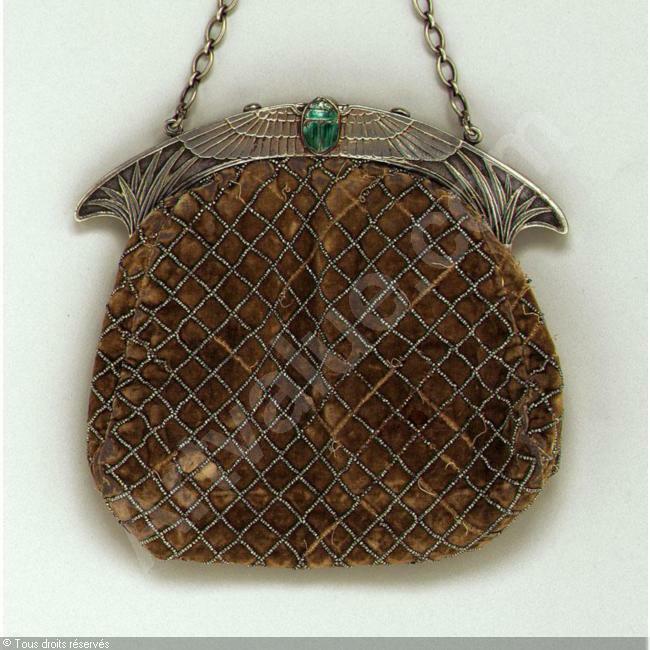 An evening purse by Georges Fouquet, circa 1900. 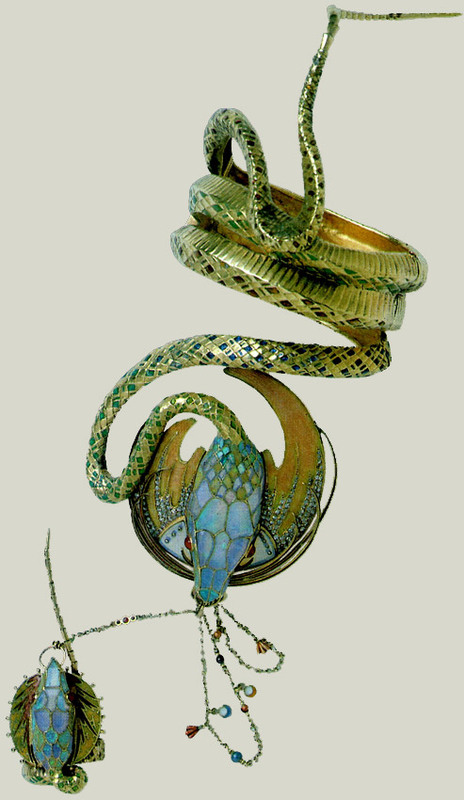 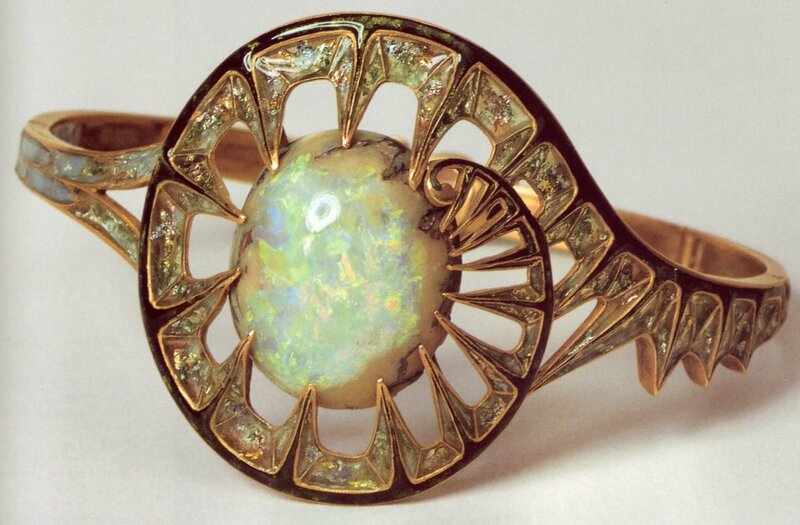 A wonderful bracelet created for actress Sarah Bernhardt when she played Cleopatra. 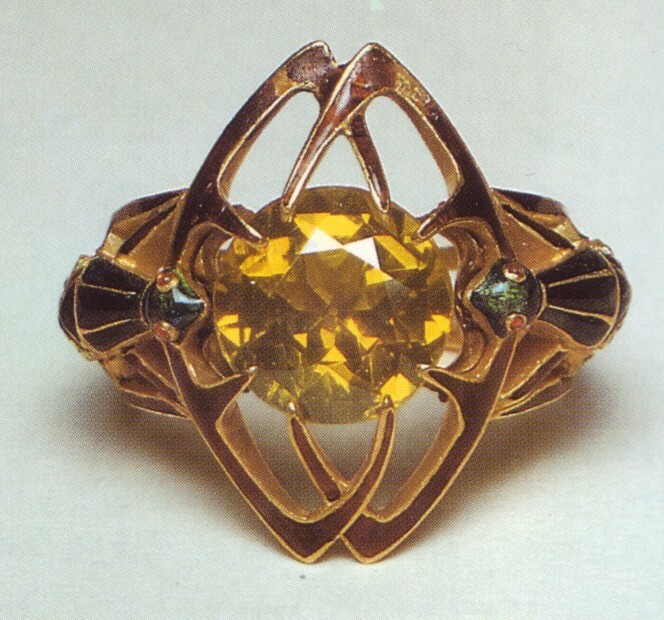 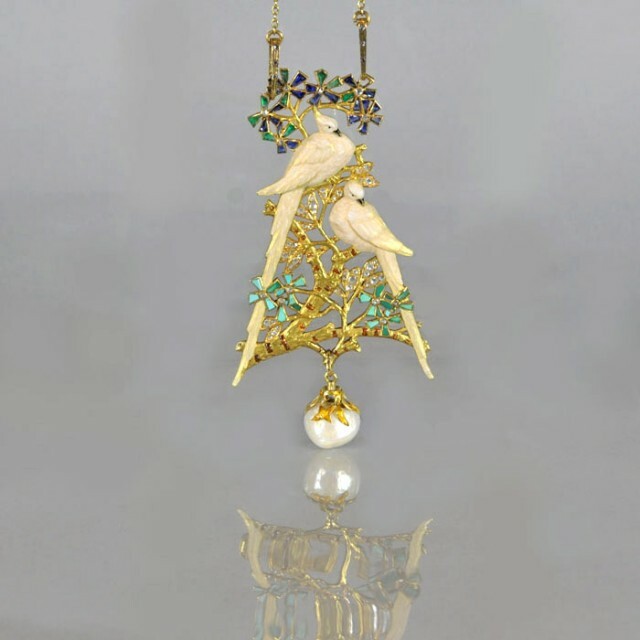 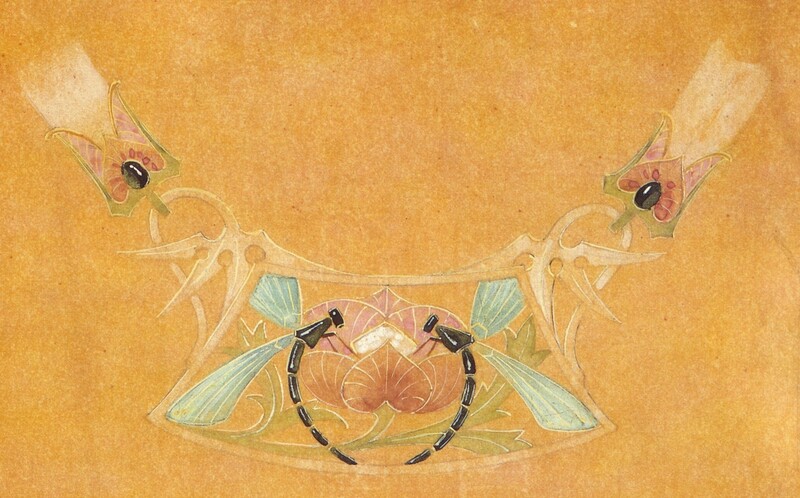 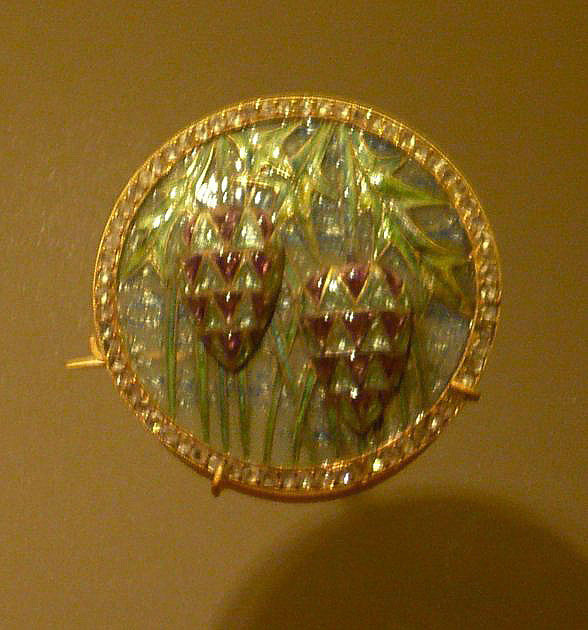 Examples of Georges Fouquet jewels designs. 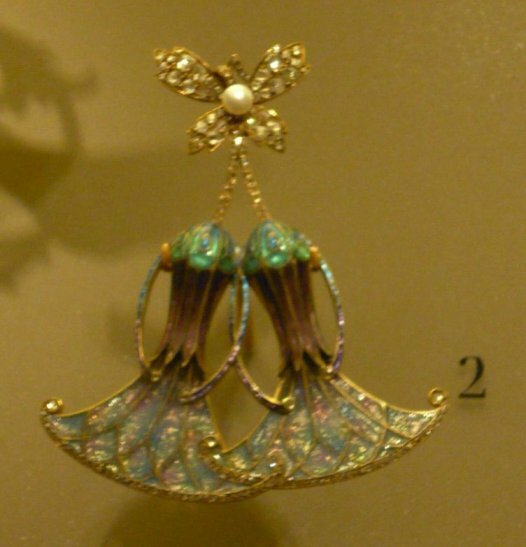 Jewels by Georges Fouquet at Petit Palais museum. 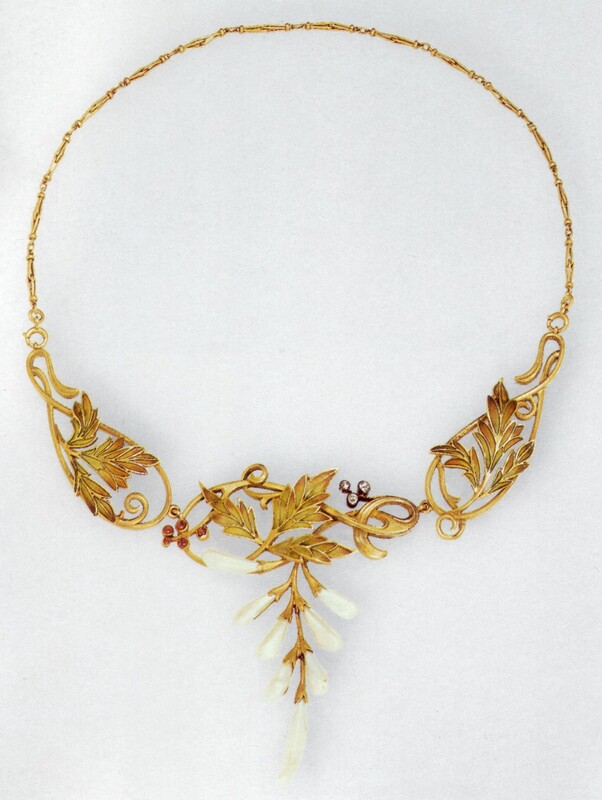 Agrafe de corsage “Glycines” (bodice clip Wisterias). 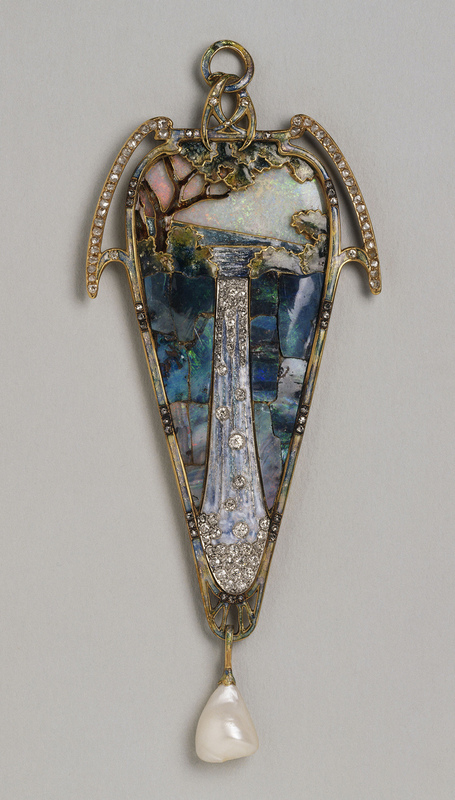 Georges Fouquet, 1902. 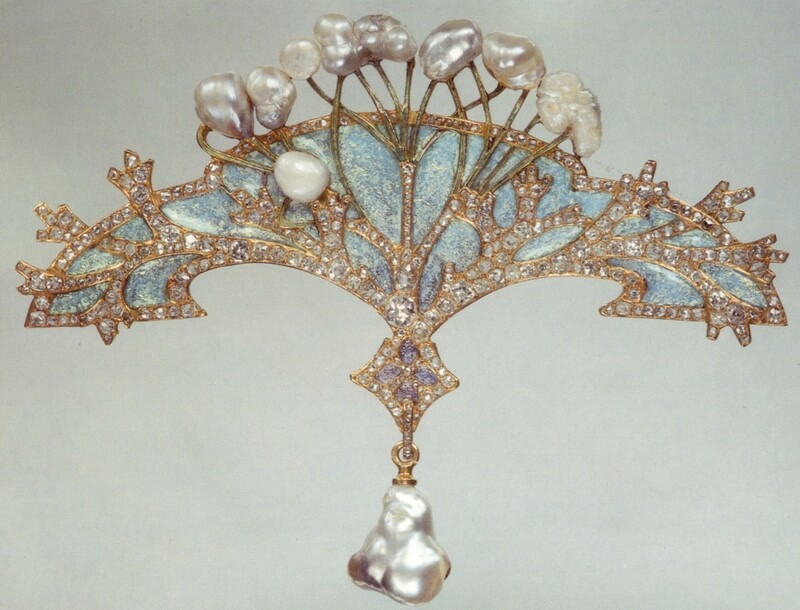 Diamonds, baroque pearls and amethysts. 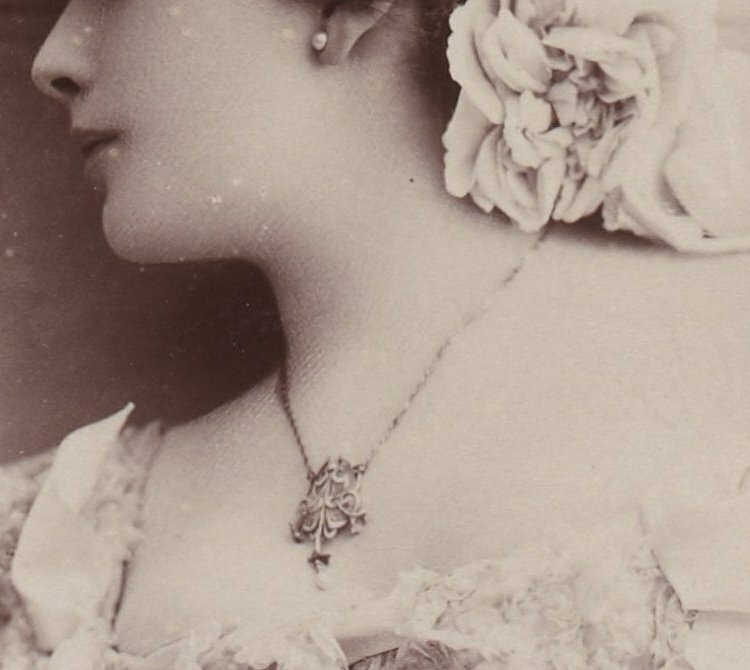 Photo from Les Modes, July 1902. 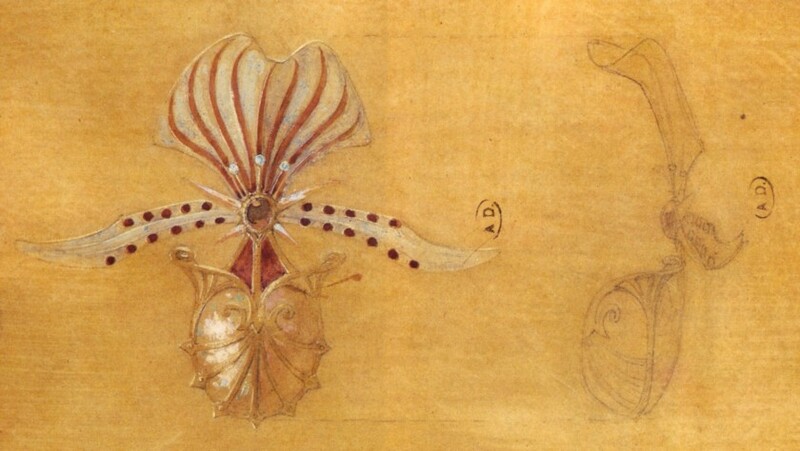 Pictures found via google and at Gallica site.